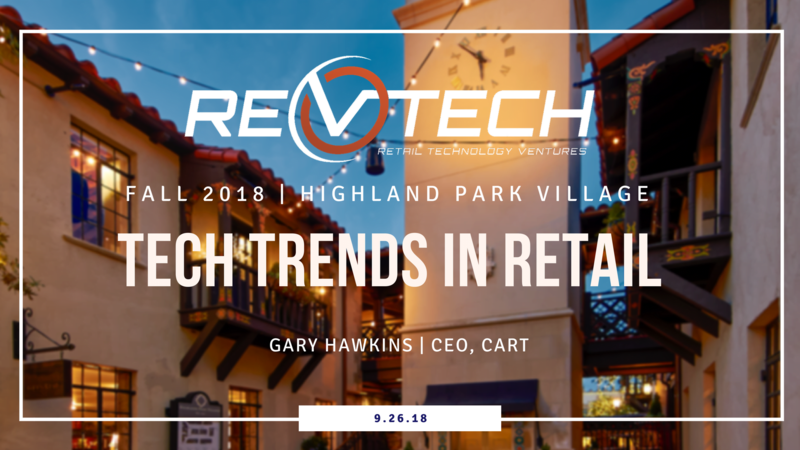 RevTech invites you to attend the 10th ‘Tech Trends in Retail’, at Highland Park Village Theatre. What better place to showcase the latest in retail and grocery innovation than at a legendary retail centre, and Texas’ first luxury theatre? For almost 90 years, Highland Park Village has been THE luxury shopping destination of North Texas. Highland Park Village was the first self-contained, open-air, shopping center in the nation and it was recognized as a National Landmark in 2000. Highland Park Village continues to create remarkable customer experiences by curating a stimulating mix of iconic and emerging retail concepts. Tech Trends in Retail will showcase pitches from RevTech’s 2018 cohort and an impressive group of grocery innovators. RevTech has been immersed in grocery innovation and cherry-picked an outstanding slate of presenters. Vessel, Dallas, TX – Vessel drives engagement and increases revenue for digital content publishers. Focused on the lifestyle and travel space, Vessel leverages influencer-generated visual content to drive engagement. Xenio, San Francisco, CA – Xenio’s precision, real-time indoor positioning levels the playing field for physical stores by enabling brick & mortar retailers to precisely track the shoppers’ real-time behavior, tied to their profile, within the store. GuestX, Dallas, TX – In any tourism market, every provider of entertainment, lodging, food, or experience is alone, operating in a silo with separate tools, trying to get their share-of-wallet in their “one shot” at the customer. GuestX has engineered a proven market ecosystem for all “things to do” whereby all the businesses can be found and can work together to sell more to each customer via bundling and a comprehensive point-of-sale experience. Engagement Agents, Hamilton, ON – Helping retailers maximize and monetize their already-paid-for marketing. ShoptoCook, Williamsville, NY – Leader in digital marketing and content management systems for grocery retailers, providing stores with an advertising edge through the use of new and existing technologies. Birdzi, Iselin, NJ– Provider of a unique personalization platform for retailers and brands to connect to the right shoppers and the right time and place, enabling a seamless, personal and smart shopping experience. ScriptSave, Tucson, AZ – Helps close the gaps in healthcare prescription coverage, with innovative savings programs for the uninsured and under-insured. Aila Technologies, Natick, MA – Delivers seamless experiences for enterprises, uniting real-world and online operations to empower employees, streamline workflows and delight customers at every touchpoint. Myxx, Cary, NC – The best recipe solution on the market today and helps solve “What’s for dinner tonight?”​ by connecting digital, dynamic, personalized recipes to consumers, retailers and brands. As Founder and CEO of CART (the Center for Advancing Retail & Technology), Gary Hawkins has an unparalleled view on current and future innovation in fast moving consumer goods retail. CART sits at the epicenter of retail transformation as his team connects retailers to new innovation using a vast industry network to understand the challenges and opportunities facing retailers, wholesalers, brand manufacturers, and solution providers. Reviewing hundreds of new solutions each year, combined with years of industry experience leading shopper-focused innovation across the supply chain, uniquely position Hawkins to guide retail into the future. Hawkins’ unique perspective informs his work as a subject matter expert in calls with Citibank and Deutsche Bank analysts covering the massive fast moving consumer goods retail sector and he is an oft-quoted resource for publications like Bloomberg, Elsevier, Drug Store News, and others. Hawkins has authored two internationally published books, numerous white papers and myriad articles. Hawkins is a regular guest lecturer at Georgetown University’s McDonough School of Business in addition to keynoting retail conferences in the US and abroad.